Agate is for mental energy and study. Price is for 15 1/2-inch string of these striking beads, about ten to the string. 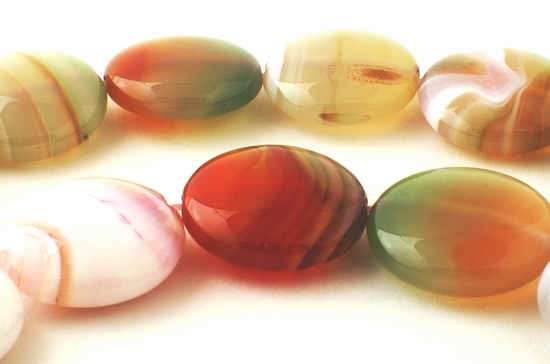 Each bead measures around 19mm x 6mm - beautiful shiny sheen and quality. NOTE: as these are natural, each WILL be a different pattern and colour (picture is one taken at random as a guide).